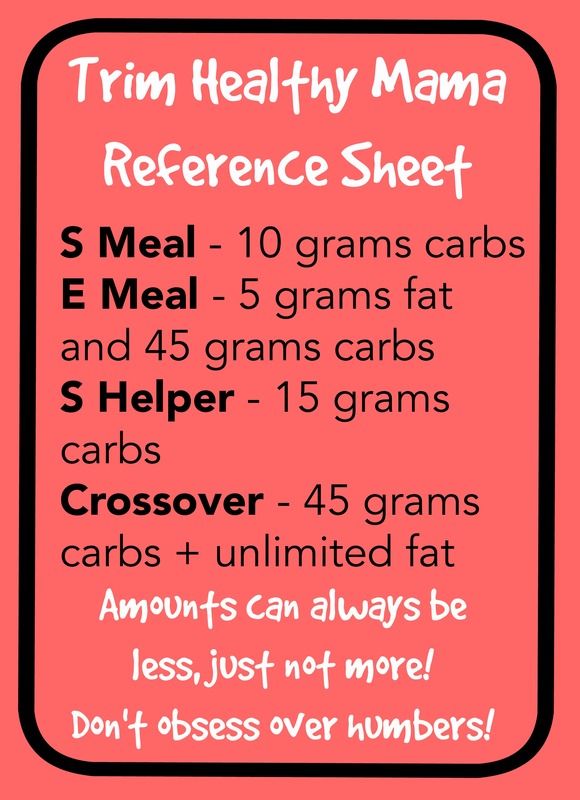 While Trim Healthy Mama (the diet I’m currently trying) isn’t about numbers, it’s helpful to have a reference if you’re wondering if something fits with a certain meal type or not. Here’s a handy reference sheet I made! For the first month after Miles was born, I let myself eat whatever I wanted. I started exercising regularly as soon as I felt like it, but I didn’t make any attempt to change my eating habits. However, last week I decided to start eating healthier…I still have about 12 lbs. I’d like to lose (10 from before I got pregnant) and my eating choices were making me feel tired and stressed. 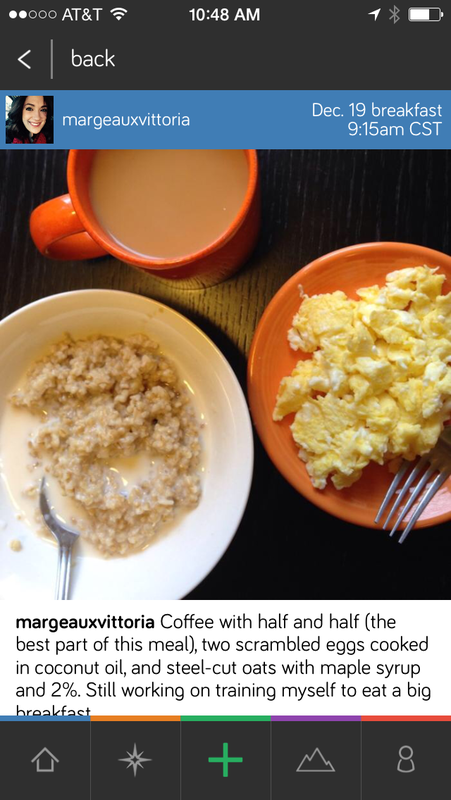 Basically, I eat a healthy 500 calorie breakfast and lunch and two 250 calorie snacks. I decided not to worry about the calories of my evening meals because I HATE counting calories when cooking (as opposed to when making a salad or breakfast…that’s doable). 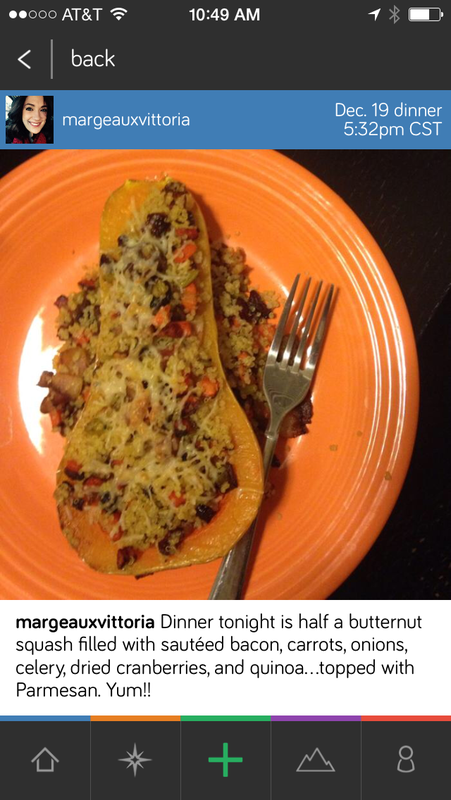 The dinners I cook are approximately 500 calories, and, if slightly higher, help me make sure I’m breaking 2,000 calories/day (which I feel I need to do in order to maintain breastfeeding and exercising). I’m planning on sticking with this calorie window for a month and then adjusting if necessary. I also went through the calendar for the next month and chose 5 cheat days where I can eat whatever I want. This is the only way I figured I can survive the holidays – plus the occasional calorie surplus will help keep my metabolism guessing. 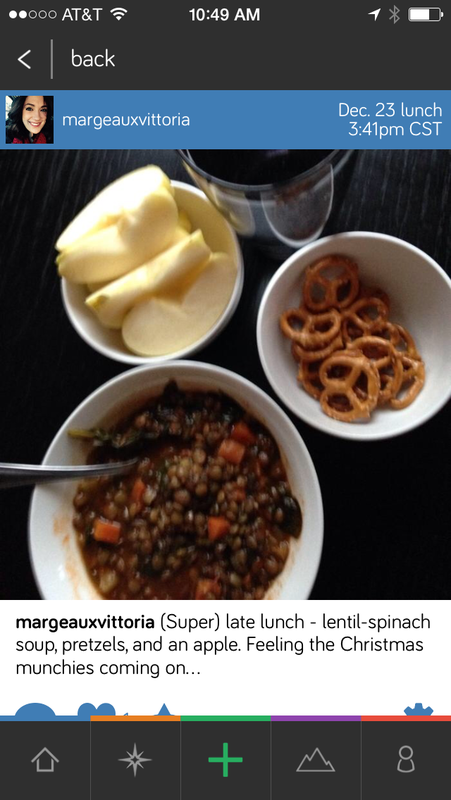 This is the food I’ve eaten this past week, the first of my program. I’ve included daily treats because otherwise I will binge on sugar. It makes the most sense to me to have a little something sweet everyday instead of depriving myself and being miserable. I tried to think this through carefully and come up with something that is doable for me. I’ve tried and failed many more rigorous diets and I don’t have the energy or time to do that again! Zach likes to sleep in until the last possible moment, so part of my meal plan is keeping a grab-and-go breakfast on hand for him. This week I made paleomg.com’s Easy Breakfast Casserole. Lunch is a free-for-all…I just try to have ingredients on hand for meals Zach makes for himself (omelettes, GF pizza, etc.). We obviously eat dinner together. I’ve found the only way to make a meal plan work for me is for it to work for both of us – otherwise it’s just too much effort.